Which firms have tax deals with Luxembourg? It's not just Amazon - there's evidence that 340 companies made tax deals with Luxembourg. Well, this is embarrassing. Documents detailing cosy tax-saving arrangements between Luxembourg and no fewer than 340 companies have been leaked to the International Consortium of Investigative Journalists (ICIJ), showing PwC helping the likes of Pepsi, Fedex and Ikea obtain tax rulings from the tiny duchy that helped them save billions. The documents appear to show how the firms used complex financial structures (when are they ever simple?) to reduce their bills, in some cases to less than 1% - somewhat below Luxembourg’s official corporate tax rate of 29%. They include details of hybrid loans, which enable a parent firm to send profits to its subsidiary in Luxembourg, where they are treated as interest and not taxed. The EU recently banned hybrid loans for companies headquartered in Europe, and has given member states until 2016 to end the practice. The report does not claim that these arrangements were illegal when they were made. 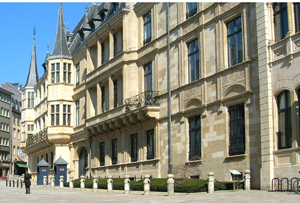 Luxembourg and those companies that have historically deigned to comment have, unsurprisingly, defended their actions as entirely consistent with the law. Ex-Luxembourgeois PM and current European Commission President Jean-Claude Juncker recently told German television that ‘no one has ever been able to make a convincing and thorough case to me that Luxembourg is a tax haven.’ Awkward. The EU forbids member states from making preferential tax deals with particular companies, and Luxembourg is already under investigation over alleged breaches of this rule with Amazon and Fiat. The list revealed by the ICIJ shows that the proportion of major companies using Luxembourg’s tax system to reduce their overall bills is far greater than that, however. It includes such luminous firms as Credit Suisse, the Guardian Media Group, Accenture, Experian, Gazprom, GlaxoSmithKline, JP Morgan, Prudential and Vodafone. Take a look at the full list here. Do you think it's right to reduce your tax burden, so long as you play within the rules? Read MT’s investigation into UK tax avoidance here.